A dual-action skincare to replenish and minmize the look of dark spots for women over 50. 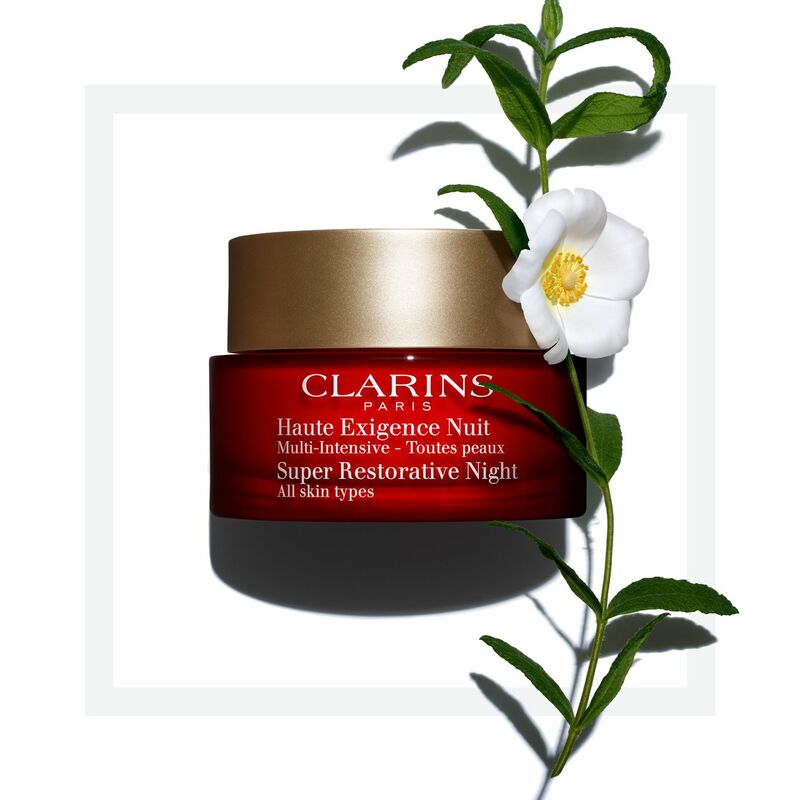 Powerful age spot-correcting night moisturizer helps unify the complexion with Organic Montpellier Rose-rose. Fights visible signs of skin aging linked to natural hormonal changes. Night after night, skin’s density is visibly replenished, and wrinkles are visibly reduced. Skin appears radiant and more youthful looking by morning. Formulated with Clarins' Anti-Pollution Complex to help fight the effects of pollution and free radicals. Rated 1 out of 5 by hummingbird from I have started using the super restorative night on my normal skin after trying a sample for a week. The sample and the actual product I received seem to be different and the results are negative - my skin is lifeless and dry in the morning, the deep wrinkles are more prominent and turn pink. I never had such a reaction to any skin product. It is supposed to be the best cream out there but seems to be the worst one for me. I am 45 and it makes me look older! Rated 3 out of 5 by K8pets from Seems okay It is very dry where I live and I am not sure this helps. I’ve used it for 3 weeks. Also there were two holes without any product in them. I’d like some replacement product to make up for this. It is very expensive to be missing 2-4 days application. Rated 5 out of 5 by clarinsrocks from Literally changed my skin ok -- I balked at the price but now I'm obsessed with Clarins! My skincare had stopped working and one of my college friends said my skin looked bad. So off to the Clarins spa I went. This was a recommendation I got and OMG my skin now GLOWS. Its soft/dewy/radiant. I'm 49 and I feel like my skin was given a second chance. BUY ALL OF THE SUPER RESTORATIVE LINE! Rated 5 out of 5 by Julieve from WOW !!! I am a new-bee to Clarin's. I only tired it because my hairdresser told me that one of her clients is in her 70's and you cannot tell her age. I started with the double wear serum, and the beauty flash balm. I started noticing that the wrinkles just were disappearing on my face. I am talking the deep wrinkles you get in your cheeks, you know ( ) those that you get. they just started lifting and going away. Didn't think that was possible. I thought I see some results on the fine lines but never those. Well the night cream is a little pricy so it took me a while to try it. I had lost a 149 lbs so the skin under my eyes was very thin. I just hated the way it looked. I thought I would just have to get used to this. I tried this cream 1 day, 1 day people. What cream shows you results in one day. It does say it helps with skin density, but so many creams say they do things, and they don't. I washed my face it was my day off put a little on, and just enjoyed how it felt. Went to bed put a little more on before I went to bed. I woke up the next morning went to wash my face and those deep under eyes were lifted and looked normal. OMG. I am so impressed. I wished I tried this sooner. I am now 57 and the clocks ticking. I have used all kinds of products I literally have drawers full of face products. This stuff works. I want to try their oil next. Ladies if you are thinking of trying this product worried about the price. It is a little pricey but it delivers. Rated 5 out of 5 by ExpatDee from Love the feel and scent. Not greasy. I've been using this product over 10 years. Love the feel it leaves and the scent is comforting. I apply before bed and its not greasy but you can feel ita moisturizing. When I wake up in the morning my face feels very smooth. At age 59, I think it is helping me keep a younger look. Rated 5 out of 5 by watermelon from I Love using clarins Iwill recommend this product to my friends. 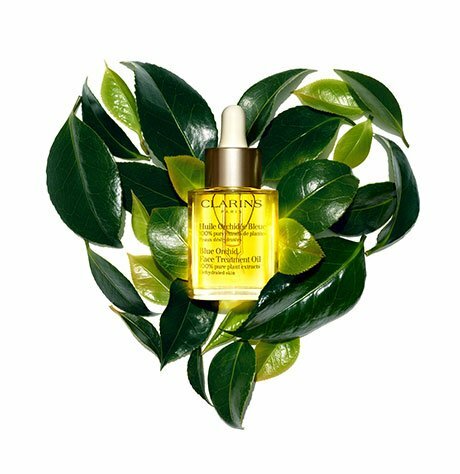 Rated 5 out of 5 by AnaLilia from I love my Clarins Clarins have work for me for over 25 years I recommended to my daughters I give Clarins for a gift and now they're Hook like me.